The terror threat is growing, but our nation’s leaders are even deeper in denial than they were 14 years ago. The anniversaries and other reminders of the Islamic extremist attacks of Sept. 11, 2001, stir a torrent of thoughts and emotions. But we should try to focus on those most relevant today. A sensitive and appropriate 9/11 museum has now been built. A new tower has emerged as a great work of architecture adding to the world’s most-iconic skyline. Lower Manhattan, specifically the immediate vicinity of the World Trade Center, which many of us feared might be abandoned in the wake of these attacks and constant threats of future attacks, has more than doubled in population. It has gone far beyond the goals we set in 1994 when we secured passage of a law allowing the use of many of the older buildings and sites in the area for residential as well as office and commercial uses. All of this is a good sign that New Yorkers have not only met but exceeded the challenge I gave on the evening of Sept. 11, 2001: that New Yorkers should become stronger as a result of the attack. It would be a mistake, however, to conclude that 9/11 is now simply a part of the nation’s history, like Pearl Harbor. Because there is one big difference. The causes and hatreds that created 9/11 are still with us, and the terrorists have enlisted members who are even more diverse, cunning and determined. The Islamist terrorist war against us continues. This is not a matter of history but of current and future threats. Remember, this war against us did not start that September day in 2001. It had been going on for a long time. The plane hijackings and killing of innocent people by Islamist terrorists, and their murderous attack on the Israeli Olympic team in Munich, occurred in the late 1960s and early 1970s. In the late 1970s, Iran’s theocratic rulers began killing hundreds of thousands of their own people and took American hostages that the regime held for 444 days. In 1985, Leon Klinghoffer, an American citizen in a wheelchair, was shot and thrown into the Mediterranean from a cruise ship by Islamist terrorist hijackers merely because he was Jewish. They were acting on the orders of Palestine Liberation Organization leader Yasser Arafat, later a Nobel Peace Prize recipient (so much for the Nobel organization’s legitimacy). The same World Trade Center in New York was attacked by Islamist terrorists in 1993. The bombings of U.S. embassies in Kenya and Tanzania, and the attack on the naval vessel the USS Cole, which in prior administrations would have been considered an act of war, all happened in the late 1990s. All of this should have suggested to America’s leadership that war was being waged against us. In case there was any uncertainty about the intentions of these people, Osama bin Laden clarified it by declaring war on us in the late 1990s. Instead of treating these incidents as part of a war, we treated them as discrete, individual crimes. All of these horrendous terrorist acts, and bin Laden’s declaration of war, shared one objective: destruction of the infidel. They were all undertaken in the name of an extremist interpretation of Muhammad’s call to jihad. But America was in denial. Now, once again, the terrorist attacks under the banner of jihad are increasing and diversifying. With so many such attacks and thwarted attacks over the past five or six years, we must recognize that “they”—those who want to destroy civilization—are continuing the war against us. Yet those running our government seem to be in an even greater state of denial than the nation was in during the period before Sept. 11. Now, instead of bin Laden, Iran’s supreme ayatollah has declared that he wants to destroy Israel, to continue to kill Americans and to establish an Islamic empire including Iraq, Syria and Yemen—and the terrorist groups Iran supports. At the same time, the group known as Islamic State, or ISIS, has declared a caliphate seeking the destruction of Christianity and other infidels, and now occupies key areas of Iraq and Syria. 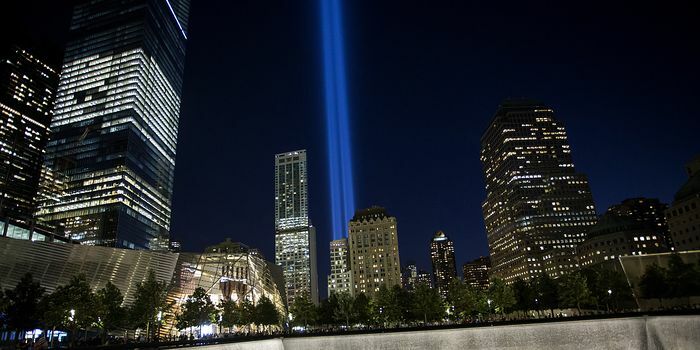 As we reflect on the attacks of Sept. 11, 2001, we must remind ourselves that all the wickedness underlying those attacks still exists and has expanded. We may very well be in more jeopardy now than before 9/11. Attacks such as those at Fort Hood, the Boston Marathon and similar incidents in Europe and around the world reveal that many enemies, not just one, are united in purpose: the destruction of our way of life. Each of these attacks may be more limited than the coordinated terrorist assault on Sept. 11, but they are frequent and hard to anticipate, causing widespread fear, the ultimate goal of terrorism. We must acknowledge this war being waged against us, increase the military’s capacity to deal with it and, most important, train police to recognize the precursors of terrorist acts. U.S. military and intelligence capacity must not be drastically cut as proposed by this administration. It should be quantitatively increased and strategically improved. The Obama administration appears likely to get its nuclear deal with Iran—even though it gives the ayatollahs access to hundreds of millions of dollars that will be used to sponsor terrorist acts against us and our allies, and puts the regime on the road to becoming a nuclear power. The deal makes war, either conventional or nuclear, more likely. But there are alternatives to war. The Iranian regime to this very day maintains a two-dimensional approach to us: negotiate with us while maintaining policies on the destruction of Israel, death to Americans and supporting Islamist terrorism. The American leadership should be at least as shrewd, using a two-pronged counter approach: While attempting to reach an agreement assuring a nonnuclear Iran, we should also recognize and support the Iranian resistance movement. It is absurd that we supported regime change in Egypt, a U.S. friend, and regime change in Libya, a neutered country that had abandoned its weapons of mass destruction, and yet have done nothing to support it in Iran. On this 14th anniversary of the worst foreign attack on U.S. soil, let us honor our fallen on Sept. 11 and in Iraq and Afghanistan by pursuing a policy reflecting America’s true purpose—to offer hope for the future of mankind and, in particular, for the freedom and dignity of people who have lived under deadly intimidation for decades. Mr. Giuliani is the former mayor of New York. Posted on September 14, 2015, in Postings. Bookmark the permalink. 1 Comment. Amen…all this goes back a long, long way with atrocity after atrocity. Evil.